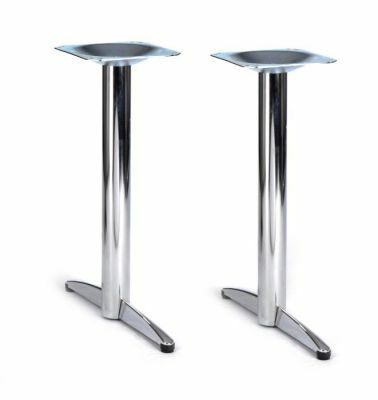 Twin table bases designed for use with rectangular tops up to a maximum size or 1200mm x 750mm. High bathroom quality Chrome available from stock for a free and fast delivery. A pair of café table legs in chrome to suit a wide variety of café table tops. Lincoln café tables are delivered flat packed for self assembly. Please contact our sales team for a quotation if installation is required.